CBD Oil is quickly becoming a popular alternative medicine for many health concerns. The science is still in its infancy but reports around the country have been, largely, very positive. Many negative reports often stem from under-regulated products, mislabeled products, and products with unclear concentrations. 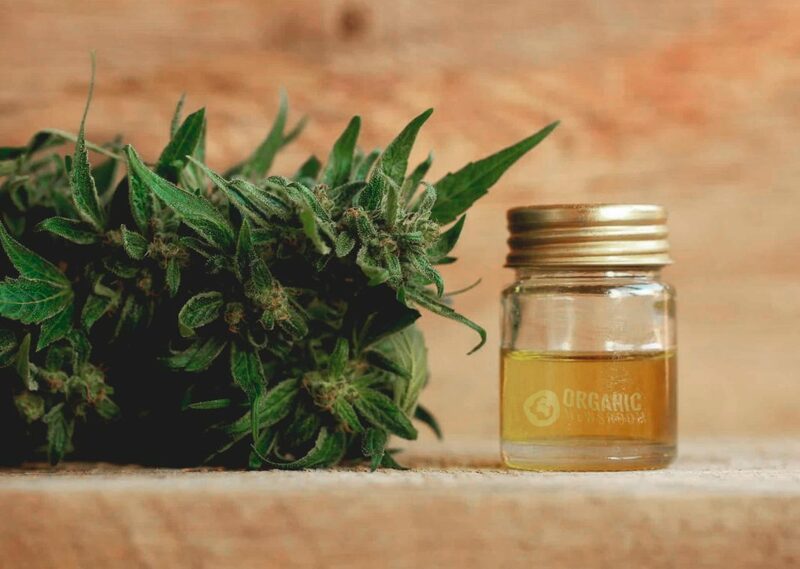 To find the best CBD oil for your purposes it’s important to first consider how It’s made, what types there are to choose from, and what to expect. CBD is an abbreviation for Cannabidiol—a compound found in Cannabis sativa plants such as Marijuana. This compound is found alongside such compounds as THC but isn’t psychoactive itself. There are hundreds of other cannabinoids found in cannabis plants but the strongest evidence for benefits to human health is surrounding CBD. Consumer interest is piquing with regards to CBD products but quality control, product consistency, and product sourcing are still in their infancy. You can get pure CBD oil wholesale, buy it from health food stores, and even order it online. Depending on where you’re sourcing your CBD oil from you may get different potencies, have products with different recommended doses, and have any number of other ingredients. There’s a lot to learn, but common sense will carry one most of the way! The science of how CBD oil benefits human health is still in its infancy. There are strong indicators that this compound will continue to be regarded as beneficial—but not enough to be conclusive. That should be your first signal to stop and think. There isn’t a “standard” CBD Oil doe. There are well-documented scientific studies that do well in stating the dose given to participants and the noted effects. The trouble is, most of these types of studies have varying doses, from varying sources, in varying concentrations, with varying results. If you haven’t pick up on it yet; there’s a lot of variance among CDB oil data. No to worry—a few tips can help you navigate CBD oil dosages with confidence. You just need to know some basics. It’s not always clear on CBD oil labels how much active CBD is in the bottle. There’s two ways to find this out. One, check out the Servings Per Container; Two, check out the Amount Per Serving listed next to the CBD ingredient found in the Supplement Facts label. This might appear as anything from hemp extract, Hemp CO2 extract, to more odd phrasings such as hemp aerial extractives. The number, in most products, will fall somewhere in the range of 5mg to 50 mg. The higher the number, the higher the concentration. Hemp extracts contain many compounds other than CBD. Hemp oil, taken from plants with little to no CBD presence, contains several compounds beneficial to human health. These fatty acids include Alpha Linolenic Acid (ALA), Stearidonic Acid (SDA), and Linolenic Acid (LA). These compounds are often referred to simply as Omega-3 and Omega-6 Fatty Acids. Depending on how a CBD Oil product is processed it may contain any number of these compounds. Ingredients listed in the Supplement Facts panel of CBD Oil products can be distracting but help describe the nature of the product. For example, CBD extracts are suspended in an oil to help regulate the concentration of dosage—like adding water to orange juice concentrate to make a drink you’re able to sip on without wincing. There is no standard compound in which CBD is mixed with. One would think that hemp oil would be a no-brainer but that’s not always the case. CBD Oil products may used other compounds such as Olive Oil, Canola Oil, Corn Oil, and even seemingly random oils such as Almond, Avocado, or Sesame. At this point, there’s not enough evidence to suggest any single oil has significant benefits over another. If you have allergies to certain foods however make sure your CBD oil doesn’t contain an oil of that food! This is a general gotcha common in the supplement industry—remember, CBD Oils are legally considered Dietary Supplements. For such products, the FDA requires that a Supplement Facts panel be present on these products’ labels. This differs from food products which are required to have a Nutrition Facts panel. Compounds without established Recommended Daily Allowances (RDA) are generally found in Supplement Facts panels while listings such as Carbohydrates, Protein, Fats, and Sodium are found in Nutrition Facts labels. Depending on how a product is being marketed, there may be different labels present. For example, a CBD oil product may list hemp extract in a Supplement Facts panel. If the CBD extract in that product is suspended in Hemp Oil, what then? Hemp Oil could be listed in the supplement facts section—even as Omega-3 & Omega-6 fatty acids—even as individual compounds like Alpha Linolenic Acid, Linolenic Acid, and Stearidonic Acid. A CBD oil containing Hemp Oil might also list it as an “ingredient” beneath a separate Nutrition Facts panel or as an “other” ingredient beneath a Supplement Facts label. Truth be told: a significant determining factor in how a products’ label is designed comes down to how it’s being marketed. Complicated labeling isn’t just an issue in emerging markets such as the CBD oil market in the United States. Certified Organic products also lead one to think that there’s nothing in there except organically-grown ingredients. That’s not always the case. Marketers ruin everything and, during the process, they generally make things more confusing than they need to be. One pillar of marketing is to come up with a number for a product that you can compare to other products. The bigger the number, the better the number. CBD Oil products fall prey to this as well and have their dosages labeled in an infuriating manner. For example, a common single serving of a CBD oil product might contain 15mg of cannabis extract (cannabinoids such as CBD.) It might also be suspended in 850 mg of Hemp Oil meaning that, for a single serving, you’d be getting 865mg of everything. That’s 15 mg CBD + 850mg Hemp Oil = 865mg total. Such a product might be marketed as 865mg CBD Oil. It’s not false but it sure as hell should have an asterisk by it. That means a product containing 10mg CBD + 500mg Olive Oil might be advertised as 510mg CBD Oil while a less potent 5mg CBD + 800 mg Hemp Oil might be advertised as 805mg CBD Oil. The best way to approach this mess is to ignore those numbers completely and just multiply the Number of Servings per bottle by the Amount Per Serving of the CBD extract. Typically, that would look like 15mg x 30 Servings = 450mg per bottle. Shopping for the best CBD product can be infuriating. CBD Oil products come in varying concentrations that contain varying types of compounds to help dilute them that may be labeled in varying ways depending on how they’re being marketed. To make things worse, these products may be marketed in such ways that make it unclear how their concentrations may compare to other similar products. Higher concentrations are more expensive. Multiplying Serving Size by Amount Per Serving finds how much active CBD extract you’re getting. Similar ingredients may be listed in wildly different formats depending on how a product is marketed. CBD Oil has become commonplace in most health food stores across the country. These products contain only trace amounts of THC and have no psychoactive effects. Research to support claims that CBD oil products offer health benefits is still young, but looks very promising. As CBD oil products continue to evolve one should always be wary of marketing ploys, unclear labeling, and un-known manufacturers. Stick to the tips we’ve discussed here and you might not be win the Nobel Price but you should be able to buy CBD oil with confidence.